This image contains lots of ingredients that make up a wonderful part of my life. It was taken a couple of years ago in my home town, East Meadow NY. You can see that it is the corner of FIFTH ST and PROSPECT AVE. If you walk towards the ’57 Chevy and turn right when you pass it, and walk down FIFTH ST, you will arrive at my home in about 4 minutes. 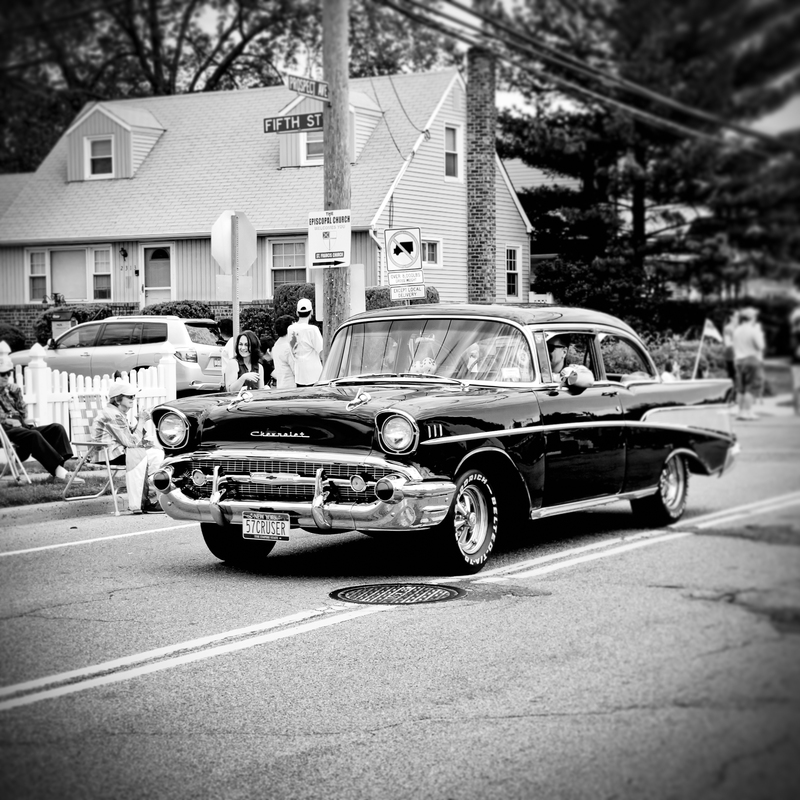 Speaking of ’57 Chevy’s, I remember when my dad had one. In fact, I was so young, I can remember sitting in the back seat with my legs sticking straight out. I was too short to bend my knees over the edge of the cavernous seat. All to say, I love my home town memories, my dad’s old ’57 Chevy, and the precious gift of being able to go back and see my parents in the house I grew up in.